Maybe companies like Amazon that have defined the digital economy with revolutionary online business models are struggling to truly define their own identity? Maybe a logo, a website, a slick business model, and a bunch of data centres and warehouses are no longer enough for these corporations born in the Internet era. 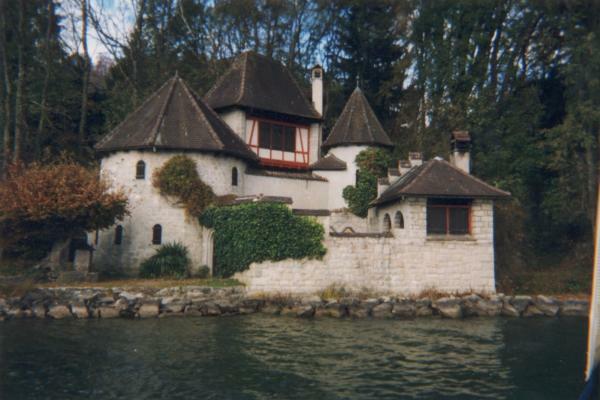 The famous Swiss psychologist Carl Jung, who coined the term the ‘collective unconscious’ first built his own house, Bollingen Tower, on Lake Zurich in 1923. Then there’s that widely-shared paragraph from TechCrunch about the latest ‘sharing economy’ darlings which, funnily enough, hasn’t stopped them from investing in their own fantastical architectural expressions. However, it looks like Google has decided not to open its first ever retail store, despite reportedly spending “$6 million renovating the space” (. You can see the psychology behind the original retail plans – wanting something bigger and better than two of its competitors Microsoft and Apple – who have been opening lavish retail outlets all around the world. It’s good to see there is still some common sense prevailing.